At Arris Medical Systems, we recognize that Chairs and Stands need to comfortable, durable and easy to use. Quality chairs and stands from Arris Medical Systems should ensure years of daily use for your practice. No hydraulics, means a cleaner office. Quiet, smooth electrical operation of both the chair and the slit lamp arm. Multifunction chair & Unit Elevation Control. Chair is fully flexible, rotating, and reclinable. The seat is polyurethane filled for the ultimate seating pleasure. 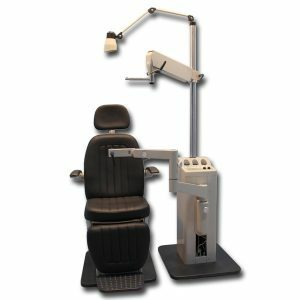 The headrest is adjustable with a single locking lever. Movement control is powered with a quiet, German DC-Marked motor. Rotation is a full 180 degrees. 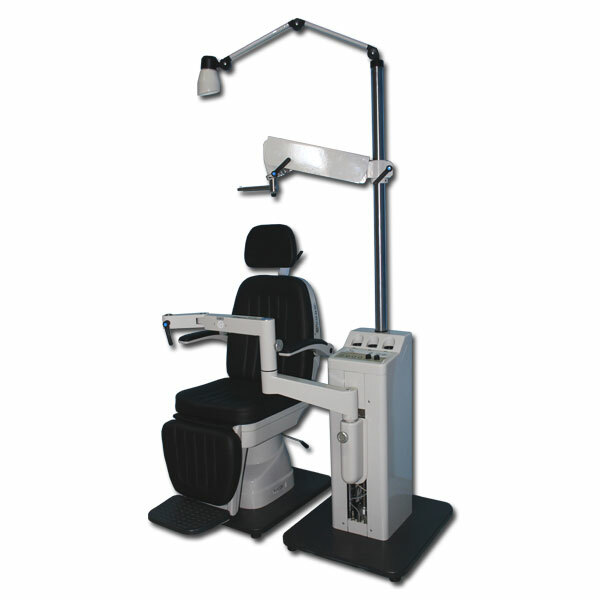 Incline can be controlled from both the chair side and control panel. Installation can be for either right hand or left hand operations. The foot switch has fluid movement total positions up, down, front, back and return.